Out on bail for a rebellion case, Senator Antonio Trillanes IV on Wednesday asked Makati City Regional Trial Court (RTC) Branch 150 to grant him permission to travel Europe and the United States. Claiming he is “not a flight risk,” Trillanes asked Judge Elmo Alameda to allow him to travel across The Netherlands, Spain, and the United Kingdom between December 11, 2018 to January 12, 2019 on official ‘business trip’ as well as in the United States from January 27 to February 10, 2019. Trillanes attached to his motion 2 travel orders approved by Senate President Vicente “Tito” Sotto giving him authority to travel on the said countries all “at no cost” to the Senate’s Cost Center. The opposition Senator was compelled to request the court’s permission because Judge Alameda issued a hold departure order against him soon after the Warrant of Arrest was issued. 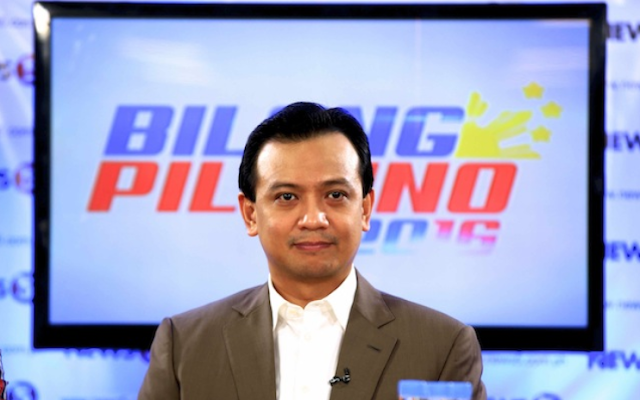 Trillanes is currently on temporary parole after posting bail for rebellion charges. Meanwhile, the Makati Court’s ruling to debunk the Senator’s amnesty is still subject for a motion for reconsideration. 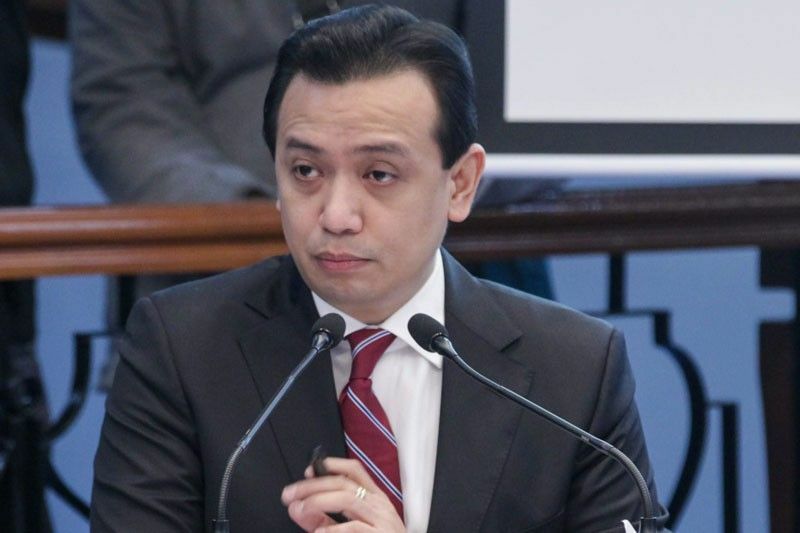 Trillanes cited his voluntary surrender, posting of bail, and previous instances of coming back to his home country after being permitted to travel abroad despite pending cases against him, in trying to convince Judge Alameda to lift the hold departure order against him. Judge Alameda during a hearing on Wednesday, directed the prosecution to answer Trillanes’ motion through an official comment between November 23 and 28, saying he will rule on the motion on or by December 03 with or without filing. The Makati RTC ordered the Senator’s arr*st in September this year over rebellion charges against him for the 2007 Manila Peninsula siege and issued a BAN on him from leaving the country without PERMISSION. The issuance of the Warrant of Arr*st and Hold Departure Order was initially requested by the Department of Justice (DOJ) following President Rodrigo Duterte’s Proclamation order voiding Trillanes’ amnesty over his ‘alleged’ failure to comply with amnesty application requirements. 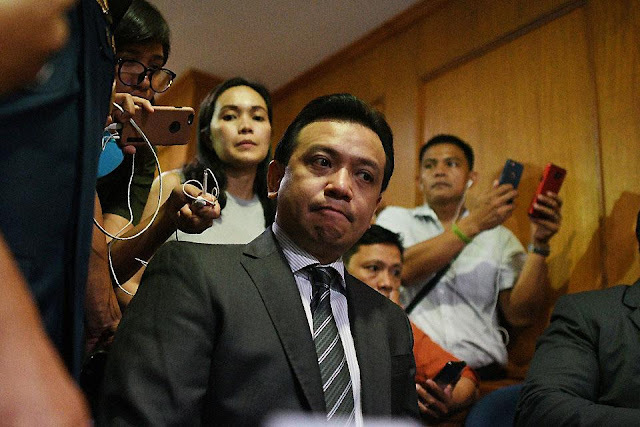 The Justice Department pleaded for a similar issuance before the Makati RTC Branch 148, which handled the Coup De Etat case against Trillanes for leading the 2003 mutiny at the Oakwood Premier hotel in Makati City, but it was denied.